The 10 Scariest Poisons In History And Their Famous Victims | Creativewi.re! - Science wired into your brain, creatively! Ok, this one is gonna be about poisons. Yeah, you've read that right: poisons! But, before we delve into the actual topic, let's talk a little bit about something that most of you are familiar with: Game Of Thrones. Wait, wait, but what does Game Of Thrones has to do with the topic of this post which is poisoning? Well, I agree that at first glance, the relationship between Game Of Thrones and poisoning seems superficial, but I want you to think about it for just a sec. Yes, I'm sure you have figured it out by now. The role that poisons played in Game Of Thrones is so influential that the show could easily be renamed to Game Of Poisons, and nobody would bat an eyelash! Sarcasm aside, I'm confident that The Strangler and The Long Farewell do ring some bells in your ears. These two poisons were used to kill King Joffrey Baratheon and his sister Marcella Baratheon respectively. While these poison names sound like they come out straight off of a fiction book, the truth is that poisons in medieval times were named in a creative fashion as you will see in the examples below. Hailed as the king of poisons in medieval Europe, the use of arsenic as a means of murder was so widespread that people found it very hard to believe the natural deaths of kings, generals and princes. The discovery of the element is usually attributed to the German catholic bishop Albertus Magnus who was able to isolate it in 1250, though the toxic effects of arsenic were known as early as the fourth century BCE thanks to a man called Hippocrates. This Greek physician described colic, or upset stomach, in a man who was a mineral worker in 370 BCE. Now to the not so cool part, what about arsenic victims? One of the earliest known cases of arsenic poisoning was the sudden death of the Roman emperor Tiberius Britannicus in 55 A.D. The culprit was none other than his step-brother Nero whose ambition to secure the Roman throne was stronger than his family ties. The widespread use of arsenic by the ruling class and even commoners was largely due to its availability, low cost and its odorless and tastless nature. Furthermore, French people in the seventeenth century nicknamed white arsenic (As2O3), poudre de succession, or succession powder. The king of poisons and the poison of kings indeed. This one is a classic and was used throughout history as a cosmetic, medicine, and of course as a poison. It is a plant that belongs to the nightshade family Solanaceae. Ironically, the Solanaceae family also include tomatoes, potatoes and eggplant. So next time you eat your favorite dish of tomatoes, remember that you are eating Atropa belladonna's cousin! It has faint green leaves and bright black berries. Belladonna contains atropine and other toxins which cause a range of symptoms that includes dilated pupils, paralysis in the involuntary nervous system (i.e., the autonomic part of the nervous system that controls involuntary muscles such as the heart), rash, and slurred speech among others. What is fascinating about the deadly nightshade is the etymology of its name (i.e., Atropa belladonna). Atropa is believed to be derived from the Greek Goddess Atropos who was one of three female deities who would decide a man's fate by manipulating the threads of destiny. She was the one who cut the thread of life. As you can see, this naming is very fitting for a plant that can send you to the other world with just five berries. The other part of the name has yet another amusing story. Belladonna is an Italian word which means "beautiful lady". At this point, you may be wondering: What does beauty has to do with a deadly poison? To satisfy your curiosity, our deadly nightshade was called "the beautiful lady" because women used it to dilate their pupils which supposedly made them more attractive. Come on! Who doesn't like women with dilated pupils? Now, lets move to the serious part. How was Atropa belladonna used in medieval times? One of the most infamous poisoning cases that involved Atropa belladonna is the case of Duncan I who was the king of Scotland from 1034 to 1040. 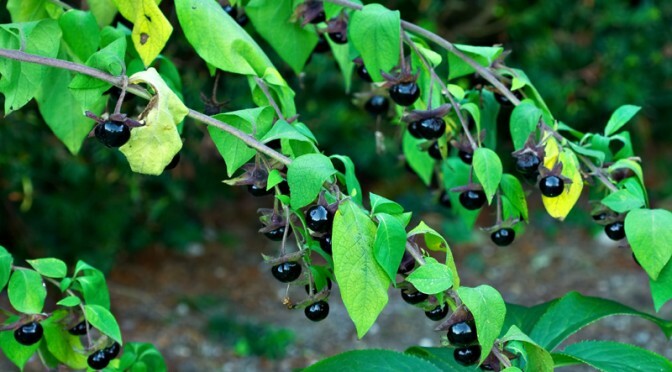 Duncan I used The deadly nightshade to poison the invading army of Harold Herefoot, the then king of England. 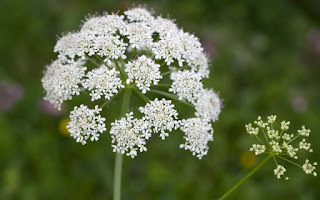 Hemlock is another highly poisonous plant of the parsley family Apiaceae. It is native to Europe and the Mediterranean region. This plant has also its fair share of inspiring names such as beaver poison, devil's flower, gypsy flower and woomlick. Poison hemlock is a hairless biennial that can grow up to 5 feet tall. It has a hollow green stem that usually has red or purple spots on it which is nature subtle way of saying: Keep out! When it comes to toxicity, hemlock takes a "give it your all" approach, since ALL its parts are poisonous. This guy doesn't joke around! The poisonous substance in question is the alkaloid coniine which can cause respiratory collapse and even death. Among the most famous victims of hemlock is Socrates. One of the greatest philosophers of all time was given a hemlock tea infusion because he was sentenced to death. Apparently, his crime was nothing more than corrupting the youth of Athens. Sounds like a cliché, right? We are not done yet with the creative names. Digitalis is a genus of around 20 species of herbaceous plants widely known as foxglove. 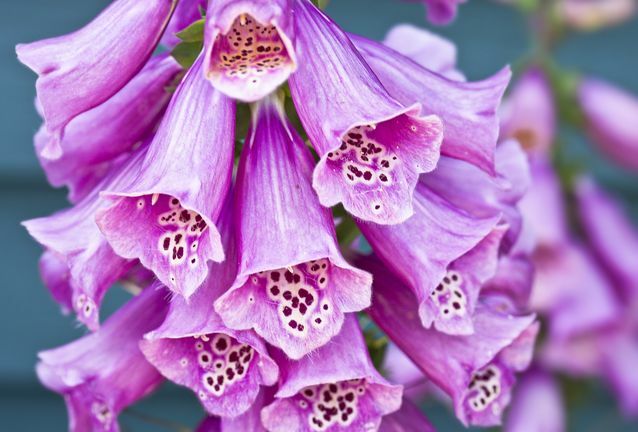 The term digitalis is derived from the Latin word "digitus" which means finger referring to the shape of the flowers that look like a finger. Nice and all, but what about the victims? Our victim this time is a rather unusual historical figure. Cangrande I della Scala was an Italian nobleman from the della Scala family which dominated Veronese politics from 1308 until 1329. He was a charismatic leader and he managed to annex many neighboring cities through his successful military campaigns. Unfortunately, he died on July 22 1329, only four days after his victorious entry in the city of Treviso. Some written documents suggest he showed symptoms consistent with foxglove poisoning which ultimately led to his death. Those symptoms included vomit and diarrhea with fever. At least, he died victorious, did he not? Monkshood, wolf's bane, mousebane, leopard's bane, devil's helmet, women's bane, queen of poisons and blue rocket: Yes, all these beautifully curated names refer to the same poisonous plant. As if those names weren't enough, aconite was also called "thung" in the Anglo-Saxon times. 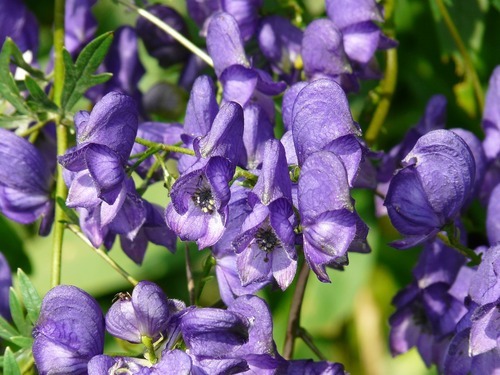 Aconite was well established as a poison since ancient times as arrows poisons have been used in china for at least 2500 years. Interestingly, the term aconite can be traced to the Greek word "Iycotonum" which literally means "wolf's bane". As you can imagine, this term obviously refers to poison-coated arrows which were thought to be used to kill wolves. If you want my opinion, wolf's bane sounds more badass than The Strangler or even the Long Farewell. Sometimes, reality is more creative than fiction. Our victim this time is also a Roman emperor. In 54 A.D, Agrippina murdered her husband, emperor Claudius I, for the purpose of securing the Roman throne for her son Nero. Come to think of it, it was the Roman who invented Game Of Thrones, the real GoT, literally! Another member of the nightshade family, datura can easily be distinguished from the other members of the family with its spiky apple-shaped capsule that contains the seeds. As with the aforementioned plants, datura has many nicknames such as jimsonweed, devil's weed, hell's bells and thorn-apple which is the direct translation of the Hindi word "dhatūra". The plant has a heavy history of being used either as a medicine or as an entheogen. The Indians have been using it as a treatment for asthma for quite a long time. Native Americans also used it as an analgesic during bonesetting. As for the victims, this time they didn't die, fortunately. A notable historical incident that involved datura is that of Bacon's rebellion. Some British soldiers who had been sent to Jamestown to deal with Bacon's rebellion mistakenly ingested leaves of datura and entered a state of delirium for eleven days before recovering. 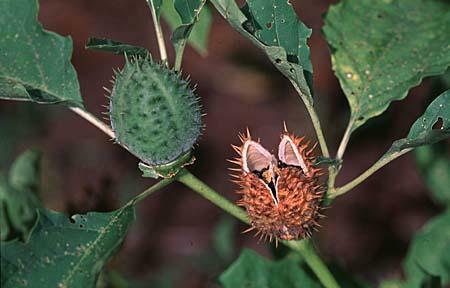 It is from the town's name (i.e., Jamestown) that datura got its English name jimsonweed. The name ergot is commonly used to refer to "rye fungus", a type of fungus that leeches onto rye and similar plants. The vicious nature of these fungi doesn't stop here as it produces alkaloids that cause a combination of symptoms which history aptly named: Ergotism. 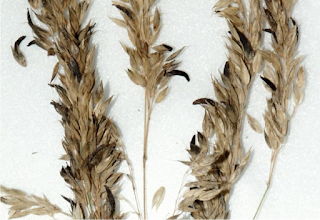 The condition occurs when people consume grain contaminated with ergot. Ergotism was a widespread phenomena in medieval Europe, especially in France which was the center of several outbreaks that involved ergot poisoning. The first documented epidemic of ergotism is thought to have occurred in 944-945 A.D. The outcome? Around 20,000 people of the Aquitaine region died due to the effects of ergot poisoning. Some 50 years later, approximately 40,000 died in what became known as The Holy Fire or St. Anthony's Fire. As if people in medieval times were short on inventive names, the holy part in "The Holy Fire" comes from the belief that ergotism was a punishment from God, while the fire part refers to the burning feelings that infected people experienced in their limbs. This burning feeling would usually happen in the feet and would cause an excruciating, burning pain that ultimately resulted in the amputation of a parched gangrenous limb. Ironically, the separation of the limb would occur without pain or blood loss. Maybe this was God's idea of a merciful punishment? As for the deliberate acts of ergot poisoning, the Assyrians used rye ergot to poison the wells of their enemies back in the sixth century B.C. Hellebores are perennial evergreen plants that are grown in home gardens for their elegant flowers. As we learned in the examples above, nature is so ironic when it comes to poisoning since all parts of this beauty are poisonous. 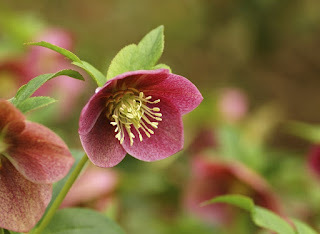 Use of hellebore as a poison goes back to the sixth century B.C. During the First Sacred War which was fought between the Amphictyonic League of Delphi and the city of Kirrha, the leader of the attack, the Tyrant Cleisthenes of Sicyon, used the allied Amphictionic army to besiege Kirrha. Apparently, what assured him victory was none other than a horse's hoof. Records say that the attackers discovered a secret water pipe leading into Kirrha thanks to a horse's hoof which accidentally broke the pipe. Hellebore came into play after an asclepiad named Nebros advised the allies to poison the water pipe with the plant. Our friend hellebore made the defenders so weak with diarrhea to the point that they were no longer able to fight back the invaders. This example was among the first cases of using chemical warfare in history. Human fascination with the flighty nature of mercury started at an early age. Greeks, Romans, Chinese and Hindus, all knew of the existence of elemental mercury. Hg, the chemical symbol of mercury is derived from the Greek word "hydrargyrum" which means liquid silver. Mercury can be found in nature mostly in the form of mercuric sulfide (i.e., cinnabar). Humans have been using this scarlet-colored substance as a pigment since prehistoric times. 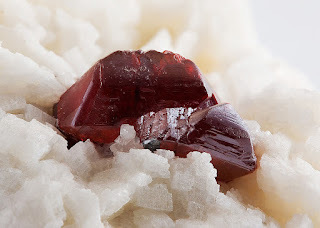 The poisonous nature of cinnabar was a well established fact since ancient times. The Romans, for instance, developed an ingenious way to take advantage of this nature to dispose of criminals, by forcing them to work in their cinnabar mines. They knew that prisoners would eventually die due to the effects of mercury poisoning, sparing them the hassle of a formal execution. The Chinese, on the other hand, regarded cinnabar as a very precious substance that would help them achieve immortality. Alchemists of ancient China were very obsessed with using cinnabar to create an "elixir" that promotes longevity. Unfortunately, their attempts didn't end well as their immortality endeavor caused many Chinese nobles and emperors to die. Among their famous victims is Qin Shi Huang, the first emperor of unified China, who is believed to have died after eating mercury pills that were supposed to give him eternal life. This one is a rather exotic addition to the list. 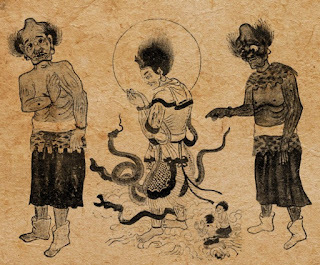 Basically, the Chinese found a very lazy and efficient poison preparation method. By placing venomous animals (e.g., snake, scorpion, centipede) in a container and letting them fight each other, they thought that the last animal standing in this fight is the ultimate venomous animal humans can "make". After that, they would use the concentrated poison extracted from the survivor of this fearsome battle which they named "Gu". Those vicious Chinese, they didn't leave anything to chance!